This little sparrow didn’t let the terrible April weather bring him down. 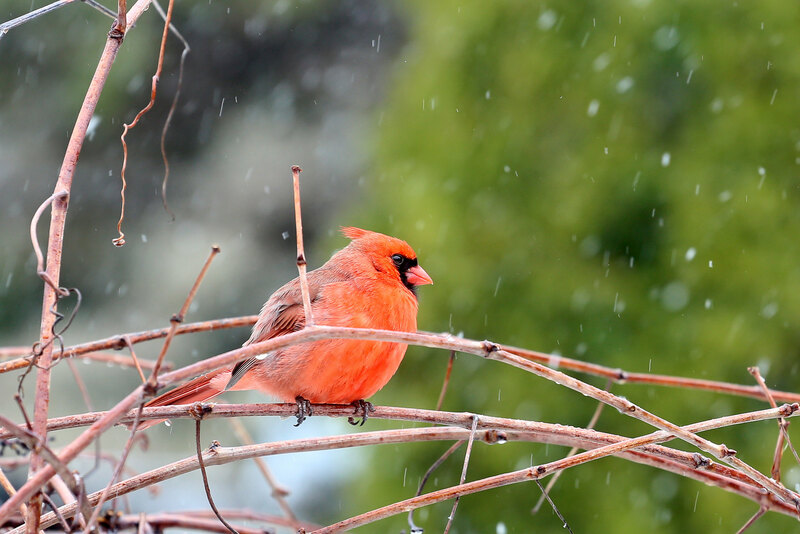 He was busying singing outside our dining room window despite the rain/sleet/snow that kept falling on his head. The weather even caused schools to be closed which made for two very happy kids. 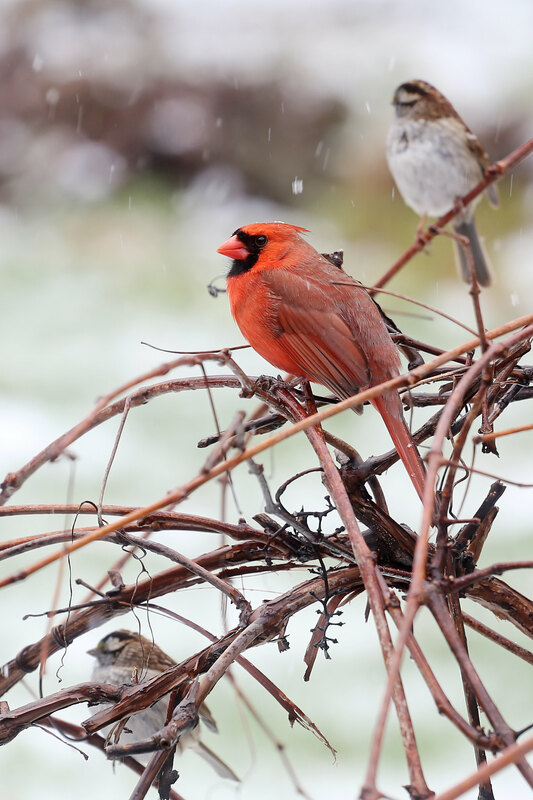 The wintry weather brought a constant stream of birds to the feeder. Even the elusive cardinal that I’ve been trying to get a decent photo of waited on the grapevine for his turn to have some lunch. I’m still waiting for the opportunity to capture the female cardinal. We have seen her several times, but she doesn’t stay long enough to pose for a picture. Thank you, Nadine. I’m finally seeing 50’s and 60’s in the forecast. Spring may actually be here! 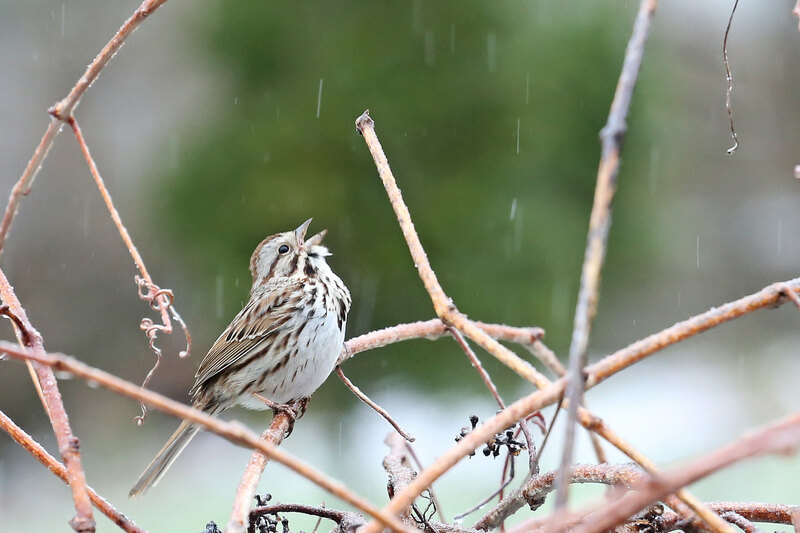 all beautiful shots, especially of the Song Sparrow singing! Thank you! The terrible weather has brought a variety of birds to the feeder including sparrows, cardinals, juncos and chickadees.